While island-hopping is *the* thing to do in El Nido, Palawan, it isn’t the only thing to do. After having our grand time in the stunning view of the Twin Beaches of Nacpan and Calitang, off we go to our next and final destination for the day: The Beaches of Corong-Corong and Marimegmeg and the stunning sunset view in Las Cabanas. We will cap the day watching the sun sink below the neighboring islets in a romantic burst of colors. I love sunset, that’s for sure! So I will not miss this chance to catch one here in El Nido. At the top of the hill, this view opened up and a tiny squeal of delight escaped me, prompting our driver to pull over to the side of the road. “Picture muna, ma’am?” he said with a chuckle. He pointed out our destination: Las Cabanas, a secluded resort at the southernmost tip of Corong-Corong beach. The rustic charm of Las Cabanas seem to be a good middle ground between the five-star luxury and backpacker options. If I ever returned to El Nido , I’d opt for a more laid-back vacation away from town, and stay here instead. My whole body and soul found solace in the wonders of nature – now, I can say I have conquered the slice of heaven on earth in this beautiful island of El Nido. To each his own. That's the beauty of traveling. You see the place in your own way, and you don't have to agree with other people who went there before you. What's spectacular to me may not be outstanding to you. Or what's average to you is just so perfect for me. You can hail a tricycle from the town proper and would usually cost you Php 200.00 roundtrip depending on your haggling skills. It will take you 10-15 minutes ride and 5 minutes walk to get to the beach. Too much contemplating if we will push through with this inland tour, but I guess the sense of curiosity won. A secret hideaway for the very few who have learned it. We were in the mood to bask in the sun that morning and the Twin Beaches of Nacpan and Calitang will grant that wish to us today. We own the Beach for a Day! Kuya Nelson led us to a grass-covered hill at the end of Nacpan where a steep overused trail was waiting for us. After a short climb, the top of the hill surprised us with wig-snatching winds and a splendid 360-degree view of the surrounding landscape! The hill is where the beaches of Nacpan and Calitang meet. While Nacpan appeared to be almost infinite, Calitang is much shorter. One end cradles a fishing village, and the other a row of multi-colored boats. The two beaches merge in a narrow powdery sandbar that snakes into a verdant hill that lies adjacent to it. The other side of the hill is rocky and more dangerous, as it faces the open sea. Located in Barangay Bucana north of El Nido town proper, the twin beaches are 45 minutes away by van, even longer by tricycle. It is not included in the usual island-hopping tours, but most travel agencies and tour operators offer trips to this stunner. You can also take a public jeepney from El Nido town although taking this mode of transport will require an overnight stay in the beach since there is only one trip daily – leaving in El Nido at noon and returning in the morning the next day. Nacpan and Calitang is part of the itinerary of El Nido Inland Tour (Tour E) that costs Php 1,200.00/per person but a DIY trip is much cheaper. You may rent a tricycle to take you there or van for bigger group. This is worth a whole day tour with side trip in some of the waterfalls. We prefer beaches instead, so off we go to our next destination. If you want to avail the services of our guides you may contact Kuya Nelson Fernandez at 09073271050. In case you will get a hold of Kuya Nelson’s services, please extend my regards to him. Tour A is mostly centered around Miniloc Island, as shown in the map. It is the most famous and most availed tour package in El Nido. It is also known as the Lagoon Tour as it comprised 2 lagoon expedition — cleverly named Small Lagoon and Big Lagoon. You have a totally yummy, specially-prepared lunch on a very picturesque little beach, then off to a small hidden lagoon (Secret Lagoon), and finally a pit stop on a long, off-white sandy beach just to relax. 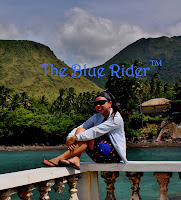 Welcome to El Nido – simply amazing! Warning: When you move from the boat to the lagoon entrance, you WILL get bitten on the legs and back etc by some kind of territorial fish that lives in that stretch of water. Now the special surprise. If you go right to the other side of the Small Lagoon, which isn’t very far, you can go into a small entranceway that leads to a water-filled cave. It’s completely enclosed, but over the centuries, rainwater seeping through the cracks has made a skylight with some amazing limestone shapes and formations to stare up at. The Big Lagoon was the main highlight of Island Hopping Tour A. It is seriously beautiful. But it’s also a place we just drove the boat in, puttered around, then drove out again. It’s one of those places you quietly boat through in stunned silence as you soak in the colors and clarity of the water. Boats cannot access the Big Lagoon in low tide, which is why renting a kayak is recommended for tour A — it would serve as a backup plan B and would give you the ability to be the boss of your time. From there, you get to experience the Big Lagoon’s deep emerald water and gigantic limestone cliffs on your own and find serenity in exploring without the noises of the boat. This small island, which apparently got its name from a Japanese diver who died there in an underwater cave, is where we stop for lunch. In spite of the depressing roots of the nomenclature, it’s a stunning place to chill while the boat crew prepares your lunch. Because we still got plenty of time, our kind guides brought us to the snorkeling site (I forgot the name) Here I feasted my eyes to the awesome underwater wonders. Our boat captain is even kind enough to take me to the deeper part and enjoy more coral views. This is the destination for Tour A to relax and have a final dip before heading back to town. We docked in Papaya Beach and went to 7 Commandos via kayak. According to our guide, if it’s low tide, they usually bring the guest to 7 Commandos. Hell I care, it’s just few meters away. You can buy fresh buko juice and snacks in this area. Happy smile and grateful heart is what I brought back to town. Getting a glimpse of the beautiful and stunning islands of El Nido is something I will forever cherish. No wonder why it’s the world’s top beach destination. I am pretty sure, I’ll keep coming back and will never get tired of feasting on this magnificent wonders of nature. I wish I could spend more days here for Island Hopping. This give me more reasons to go back for more. Capped the day with a sumptuous seafood dinner bought from the market and prepared by our ever reliable Ate Minda. Happy Tummy! After that adrenaline impelling early morning exercise climbing the Taraw Peak, we are now prepared to continue our island hopping adventures. We are more than ready to take another day of awesome site of El Nido. This time we are heading to the eastern part of the Bacuit Bay. Just like a beautiful song, each of the wonders you find in this charming town contain diverse chords and each of the harmonies are notes, cautiously and accurately chosen to create a harmonic symphony. Each note has its own timber, pitch, and tone, each contributing to become a fascinating harmony that enchants the mind and touches the soul. First stop is Entalula Island with white sand, turquoise water and amazing rock formation. It’s a nice scenic beach with one noticeable limestone standing like a sentinel.This place is really an ideal spot for swimming and snorkeling. I really enjoyed the clear water and the different fishes I saw. I keep on chasing them not noticing that I am already in the deeper part of the sea, hehehe! After almost an hour, just enough to say that we have enjoyed the beach, off we go to our next destination. I am very much excited to see this: The Snake Island. Unfortunately, we were not able to see the sandbar coz it’s high tide and the couple we’re with doesn’t want to stay in this island as they find it a little bit dirty as compared to the first one. We stayed there for roughly an hour, since we can’t see the sandbar and take a dip we just managed to climb up the viewdeck and took some shots overlooking the view of the sea and the sandbar. After that speedy tour of Snake Island, we boarded our boat and headed to our next destination. The next island will be our lunch stop over. We docked at the beautiful white-sand beach of Cudugnon Point but that beautiful shore was not the high spot of this place. The best part was Cudugnon Cave, a sacred place behind the rock walls that borders the beach. While waiting for our lunch to be served, we played like kids in the shore. I found this really cool swing and tree to get some wacky shots. When tatay roamed around, he asked some caretakers if they allow overnight stay and they said they are accommodating guests and even have packages available upon request. After feasting ourselves with the great food served, we took a bit of rest before exploring Cudugnon Cave. We walked into waist-deep, unexpectedly warm water and go into a space between two rock ledges. At this point, I can’t help but think: why so many of El Nido’s and Bacuit Bay’s wonders are hidden by Mother Nature. To access the cave’s main chamber, we need to crawl through another tiny opening in the rock wall. We climbed up a sandy, slippery slope and entered the cave’s splendid main chamber. Named after a Cuyonon word “Cudugnon” which means to shake since this was the hiding place for some Japanese and Filipinos during the war and they will feel the ground shaking every time bombs are dropped on the island. Guide said that thousands of years ago, Cudugnon Cave was a sacred burial site. In other words, this cave was actually used as a natural catacomb. Naturally, it is presently an important anthropological site. Ancient Palawenos and settlers from Borneo placed their deceased loved one’s bones in natural holes like these. Symbolically, it’s returning to Mother Nature’s bosom after spending a finite life here on earth. Unfortunately, the bones and burial jars that dated back to the Sung Dynasty were extracted by archaeologists; the artifacts are now displayed in some museum out there. After exploring Cudugnon Cave, we went back to the boat and cast off to our next destination. We cruised to our next stop, Pinasil Island where Cathedral Cave can be found. The foremost feature of this island is that foreboding hole at the center . Up Close, this colossal cavern has an opening higher albeit narrower than that of the Underground River and surrounded by rocky cliffs that features unusual stalactites. This can be considered as one of El Nido’s awesome wonders. Also, notice that lovely blue water. Looks very conducive for swimming, right? Our guide encouraged us to just go here for sight seeing because jumping in the water would simply mean suicide. It’s because the cave is home to several species of extremely aggressive, territorial and venomous snakes. There were some foreigners swimming though, good luck! After taking some photos of Cathedral Cave, off we go to our next and last stop for the day. Our boat captain then steered our boat towards Pinagbuyutan Island. It’s towering peaks maybe the first you will notice in Bacuit Bay as you enter the town of El Nido. Along the way, we witnessed massive sea cliffs. Half an hour of cruising, we finally reached the dome-shaped island dominated by extremely high cliffs. We walked along the shore and found this nice vine as a picture background. Strolling to the other side of the beach, are we in a seaside golf course? Well, no, but it does seem like it! Pinagbuyutan Island has patches of grass and coconut mangroves. Interestingly, the air here was quite chilly. This portion of the beach is ideal for picnics. After an hour, we decided to call it a day and headed back to El Nido town. This tour is also wonderful and I enjoyed each island’s unique features especially the stunning view of the Snake Island and soft beach of Pinagbuyutan with the exemption of the snake’s presence. We freshen up and prepared for dinner and this time we will try the famous El Nido soup served at Skyline Grill and Restaurant with our Nanay and Tatay in El Nido. It’s time to say goodnight, after a tiring yet fun-filled day.